SAI's breadth of experience in deploying Linux clusters, our ability to readily incorporate best-of-breed technologies, and our dedicated singular focus on Linux high performance computing gives us an advantage over other vendors. SAI offers custom integration services to design, develop, optimize and support systems that are specifically tailored to customers' needs. We use open source software solutions with leading edge, high performance commodity hardware complemented by SAI enhancements that are specific to the high performance computing environment. The combination provides for a cost effective systems that are reliable, easy to use, and of proven performance. 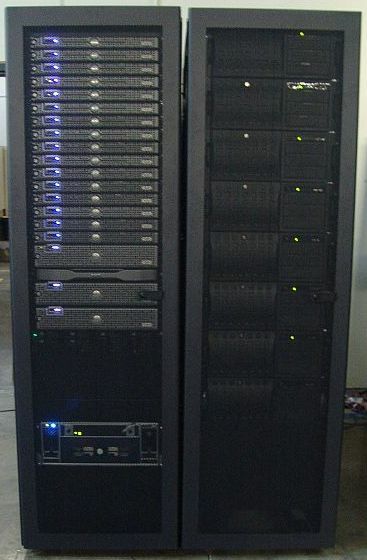 A system diagram of an HPC system for an Oil and Gas customer and a picture of the 2008 delivered system. 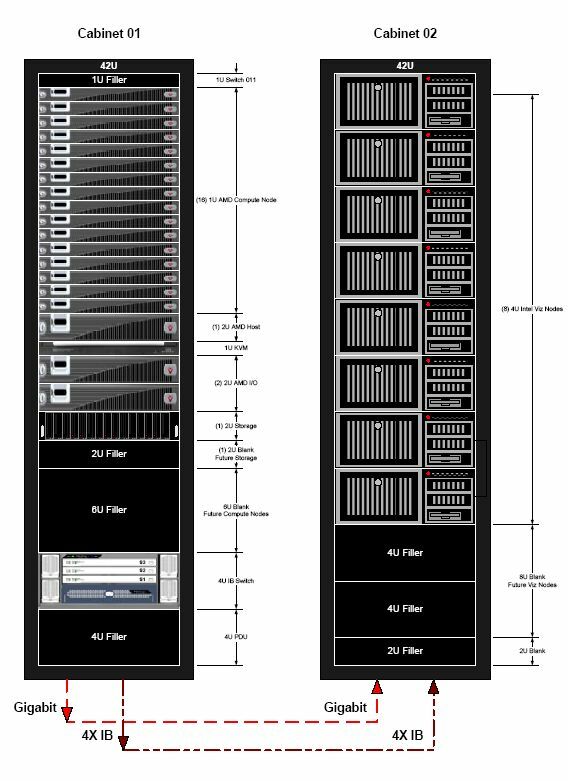 The system has 16 compute nodes of dual Quad core AMD CPUs, one high availability host node, two I/O nodes connected via dual/redundant Fiber channel to a 35Tb RAID array running the GPFS parallel file system and eight high-performance visualization nodes on an Infiniband DDR fabric.